Tesla Motors is a world-famous American automobile manufacturer that specializes mainly in producing electric vehicle powertrain components and electric cars. Although the company has only existed for 12 years, the Tesla Motors history still seems to have an incredibly powerful impact. It is named after the physicist and electrical engineer Nikola Tesla and was incorporated by Marc Tarpenning and Martin Eberhard in 2003. Continue reading to learn more about the Tesla logo, history timeline and latest models. Both men are responsible for what the company is today and are still working on introducing commercial electric vehicles around the world. In this article, you will learn about the emblem of Tesla Motors, the complete history of the company, important events, interesting news, and list of its current vehicles. Within a year of its establishment, Tesla Motors co-founder Tarpenning bought the domain name teslamotors.com and in July 2013, both founders performed significant research to see if they could in fact manufacture an electric car. Therefore, they joined hands with a company called the AC Propulsion, to see if the batteries’ idea they had would actually work. After performing research, all the company needed was a partner to build the rest of the car. Therefore, in the month on November 2013, the company signed a deal with Lotus to design the body of the car. In February 2004, Martin Eberhard’s friend Mr. Ian Wright joined the company and together the leaders finished business plan 1.0. In March 2004, since they required a factory to eventually start building cars, the company began looking for outside investors. And within a month, the company began its business of producing cars. In May 2004, the company performed a styling analysis and a month after the technology implementation study began. Soon enough, the company had 9 employees and also began designing a car named the ‘mule’ to see if their concept works. To design the mule, the company purchased an old Lotus Elise and after a few months of research they began designing the drive-train components. Once the installation of the components was complete, since the company couldn’t use the exact same design of the Elise, they arranged a contest for finding the best design. In January 2005, the company made a scale model in clay and Tesla Motors now had 18 employees. The same month, the workers took the Mule 1 out for a test drive. However, due to some unknown reasons the vehicle wasn’t able to perform well and the company now needed more money. Therefore, on February 2005, all the partners invested more money and opened an office in the UK. 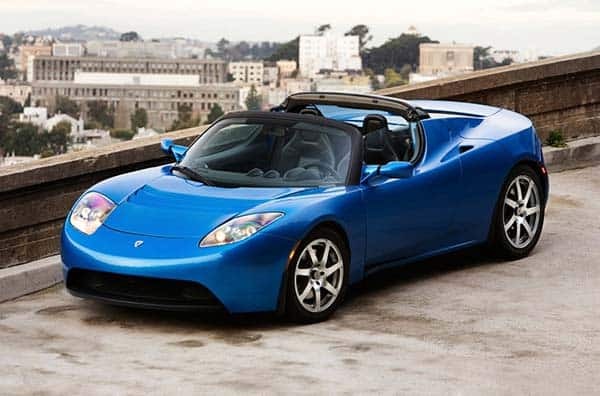 By June 2005 in the Tesla Motors Car History, a full-scale model of the Roadster was introduced and within a month, the company expanded even more with 38 employees present. In August 2005, the company began work on a motor for their Mule 2 project and the company now had 63 employees who were building the Mule 2 in Fiberglass. In January 2006, a drivable version of the Mule 2 was completed and then 10 prototypes of the same model were created for crash testing and performing other analysis and research. By September 2006, the company expanded to more than 120 employees, all of them performed more tests on their prototypes including susceptibility and radiated emissions testing. A month later, the company made a durability test, which unfortunately their model was unable to pass. Therefore, the company expanded to 144 employees and more tests were performed. Additionally, in order to build their reputation, Tesla Motors began showing their prototypes in numerous Auto Shows. By 2007, the Roadster was being winter-tested and the company expanded to 205 employees who began building a Validation Prototype (VP). 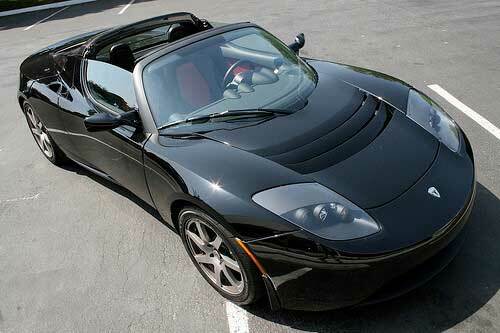 A few months later, the company had to launch its Roadster Electric Model. However, due to the new transmission failing the durability test, the debut was delayed significantly. In November 2007, Martin Eberhard was forced to leave the company and sued Tesla for mistreatment. But the good news is coming soon for the company and by January 2008, the VPs survived all new tests. Finally, in March 2008, the company began production of the Tesla Roadster and a few months later began working on other new models. The company opened retail stores in Los Angeles, California. However, in order to start building other vehicles the company required a loan of $400 million, which was approved in June 2009. By the end of 2009, the company now had more than 500 employees. In January 2010, Tesla registered for the public offering of stock and sold 1000 Roadsters. After a few months, the company purchased NUMMI, a former GM and Toyota factory in California. In 2011, Tesla Motors began crash testing of its Model S and the company now had 1417 employees. In 2012, the company after producing 2500 Roadsters, Tesla Motors ended production to focus on its new Model S. A month after, Tesla revealed a Model X Prototype a small SUV. In June 2012, the Model S was officially launched and the company now had almost 3000 employees. In 2013, Tesla Motors had to issue an expensive recall of 1000 Model S. Within a few months, the company opened a plant in Europe and by December 2013, Tesla now had 5859 employees and also managed to deliver plus 22,500 Model S in Europe and North America. Now, the company has become one of the largest manufacturers of electric vehicles and has overall revenue of $3.198 billion and 10,000 employees. The company aims to increase its overall production of vehicles and inventions. 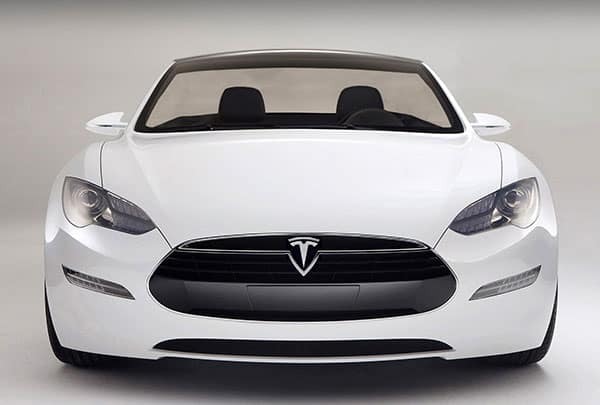 By the end of 2015, Tesla Motors aims to sell more than 100,000 cars and in 2016 has plans to unveil the Model III and then shift to mass production in 2017. Additionally, the company aims to maximize production rates to almost 500,000 cars per year by 2020 and aims to create zero emission vehicles by 2025. As you can see, the Tesla Motors history is very thriving and although the company has produced very few car models but still has great chances of success. Not to mention, by looking at how far the company has reached within 12 years, those days aren’t far away where Tesla Motors might be in competition with other top automobile manufacturers like Toyota! We hope you found all the information you were looking for related to the Tesla’s emblem and the company’s history. If you liked this article, check out information on more car logos and history of other car brands.